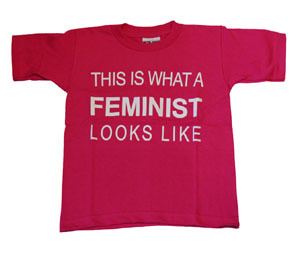 Kids are feminists too! Let them show their feminist pride with our "This is What a Feminist Looks Like" toddler tee. It comes in white lettering on a radical raspberry shirt that's bright enough to ensure your little one is never lost in a crowd. Made in the USA, Sweat-shop Free, 100% Cotton. Radical raspberry sizes are Pre-Shrunk, expect 5%-7% shrinkage on green sizes.